We believe that the Ubuntu community will not only embrace the product as users, but also combine it with other software to come up with creative mobile solutions for business and play. Splashtop Inc., the worldwide leader in cross-device computing, today announced the release of its remote desktop Streamer software (beta) for Ubuntu. 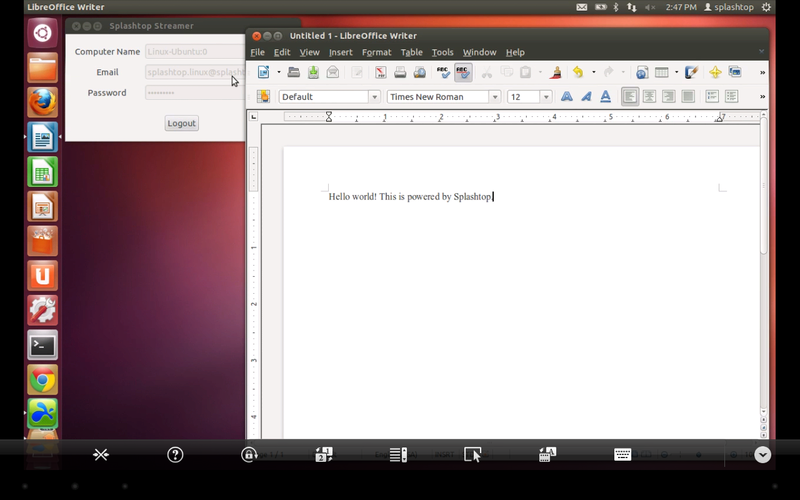 Now users of Splashtop 2 client devices can connect to a remote computer running Ubuntu to use Linux applications and to access their data. 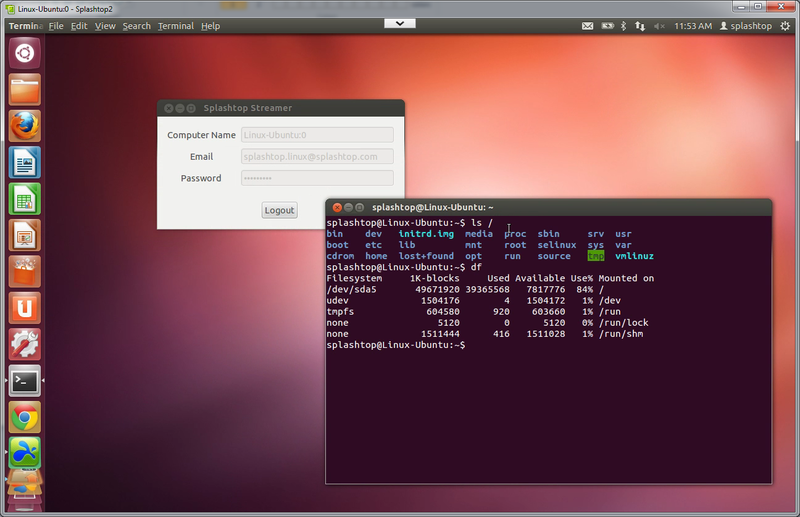 For Ubuntu users, Splashtop Streamer offers a supercharged, high-performance alternative to Virtual Network Computing (VNC) and other remote desktop software. Due to its efficient protocol, algorithms and optimizations, Splashtop has been shown in performance benchmarks to deliver up to 15x higher video frame rates and up to 10x lower latency times than its competition. Splashtop sessions are secured with SSL and 256-bit AES encryption, allowing it to serve as a secure pipe between devices, in some cases allowing users to eliminate their need for separate VPN solutions. "Splashtop's remote desktop software is an innovative product, and we welcome it into the Ubuntu Software Center," said Stephane Verdy, Product Manager at Canonical. 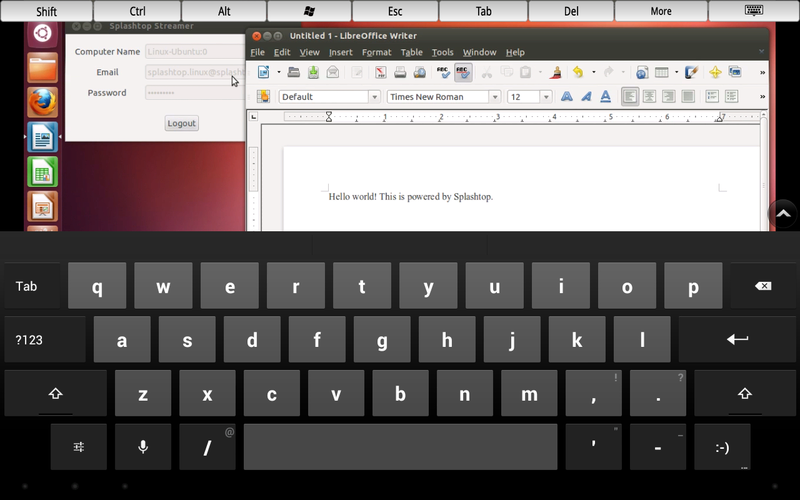 "We believe that the Ubuntu community will not only embrace the product as users, but also combine it with other software to come up with creative mobile solutions for business and play." 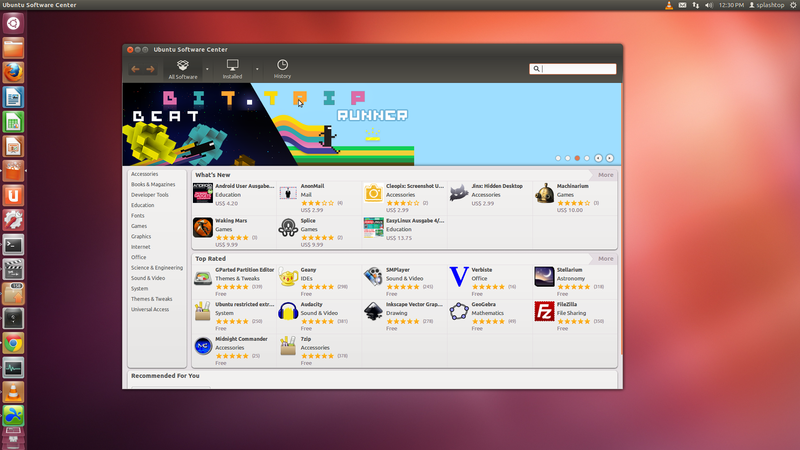 Industry experts anticipate strong demand for the product from several groups, including 1) Linux system administrators, many of whom use Ubuntu to manage their networks, 2) Linux gamers, who are overwhelmingly passionate and tech-savvy computer users, and 3) general desktop and workstation users of Ubuntu who tend to own Android devices and other client platforms supported by Splashtop. In addition, the Ubuntu version of Splashtop Streamer allows the fine-tuning of the video frame rate and setting of port numbers through manual editing of a configuration file, which is not available in the Mac or the Windows version of Splashtop Streamer. 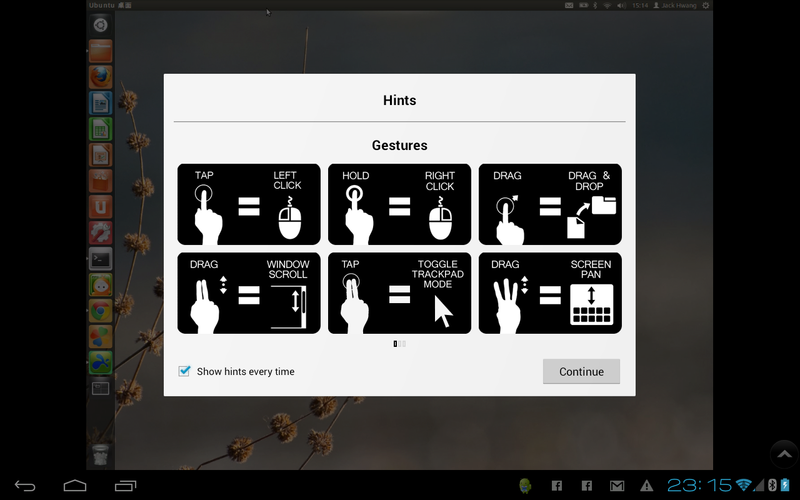 "For a while now Linux users have been clamoring for a version of Splashtop that supports Ubuntu, so now we have delivered," said Mark Lee, founder and CEO of Splashtop. "We're giving the user a few ways to tweak the configuration files to stream at different frame rates, which we think Linux folks will appreciate." To date, the Splashtop for Business product line, targeting the SMB and enterprise markets, and the Splashtop 2 consumer product line have empowered more than ten million users of mobile devices, ranging from tablets to smartphones, to remotely access their computers from anywhere to run their favorite applications and to view and edit files, watch HD movies and play graphic-intensive games. Splashtop aspires to touch people’s lives by delivering the best-in-class cross-device collaboration, bridging tablets, phones, computers, TVs and cloud services. 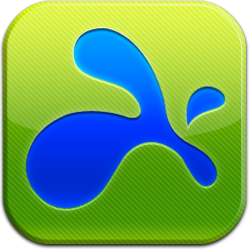 Splashtop technology empowers consumer and business users with high-performance, secure, interactive access to their favorite applications, media content and files anytime, anywhere. Splashtop’s products are top-selling apps on Apple App Store, Google Play, Amazon Appstore for Android, Microsoft Windows Store and others. More than ten million people have downloaded Splashtop products from app stores, and more than 100 million devices from HP, Lenovo, Dell, Acer, Sony, Asus, Toshiba, Intel and other partners have shipped with Splashtop. The Splashtop for Business product line features an on-premise relay server and management console. A solution in step with current industry trends such as BYOD and consumerization of IT, Splashtop for Business meets the mobility needs of organizations by providing reliable, secure and high performance connectivity across multiple devices, while offering IT departments policy-driven control. Splashtop’s worldwide network of high-performance relay servers, the “Splashtop Bridging Cloud™,” a SaaS infrastructure, ensures fast, secure remote access for users on the go, from any device, anywhere, anytime. Splashtop has won the prestigious “Most Innovative Product” award from PC World, the “Best of What’s New” award from Popular Science and the ”Best of 2012 CES” award from LAPTOP Magazine. The company is headquartered in San Jose with many international offices. For more information, visit http://www.splashtop.com.